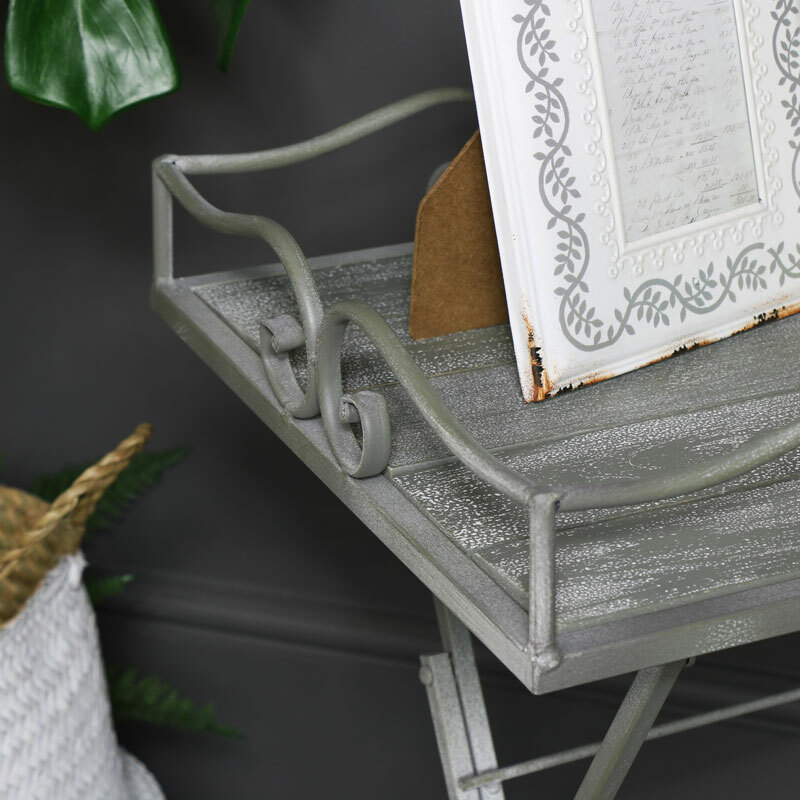 Show your home a little shabby chic love with this butlers tray that will also double as an occasional table. Beautiful vintage design that will be useful for the living room, kitchen and bedroom. This tray can be used for transporting breakfast from the kitchen to the living room or bedroom or why not eat out in the garden this summer. Sturdy metal frame in a scrolled design grey finish and topped with a rustic wooden surface. The folding design makes this so practical as well as stylish so it can be easily stored away when not in use. 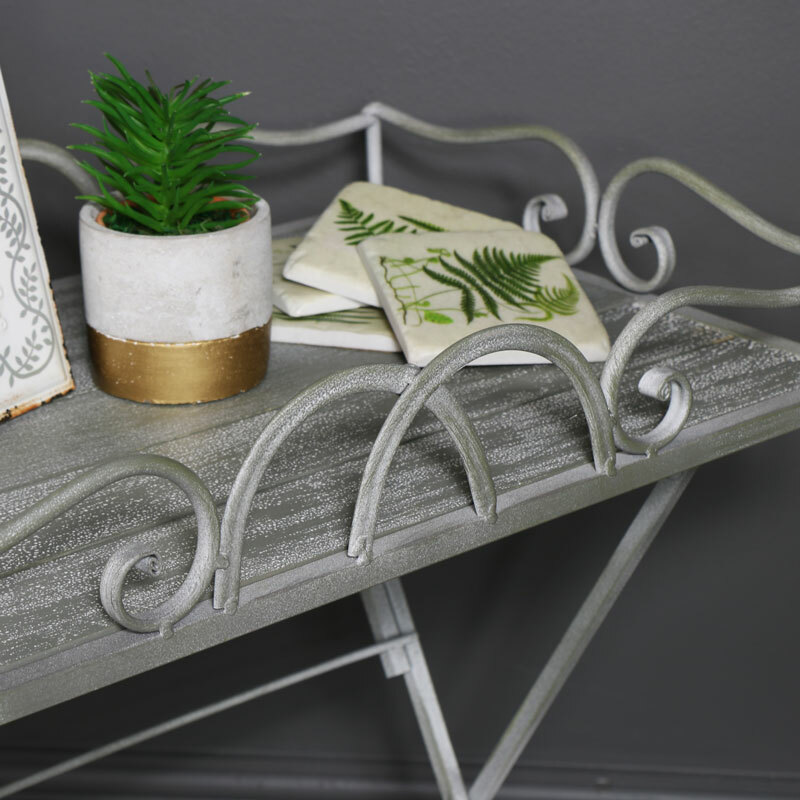 Show your home a little shabby chic love with this butlers tray that will also double as an occasional table. Beautiful vintage design that will be useful for the living room, kitchen and bedroom. This tray can be used for transporting breakfast from the kitchen to the living room or bedroom or why not eat out in the garden this summer. 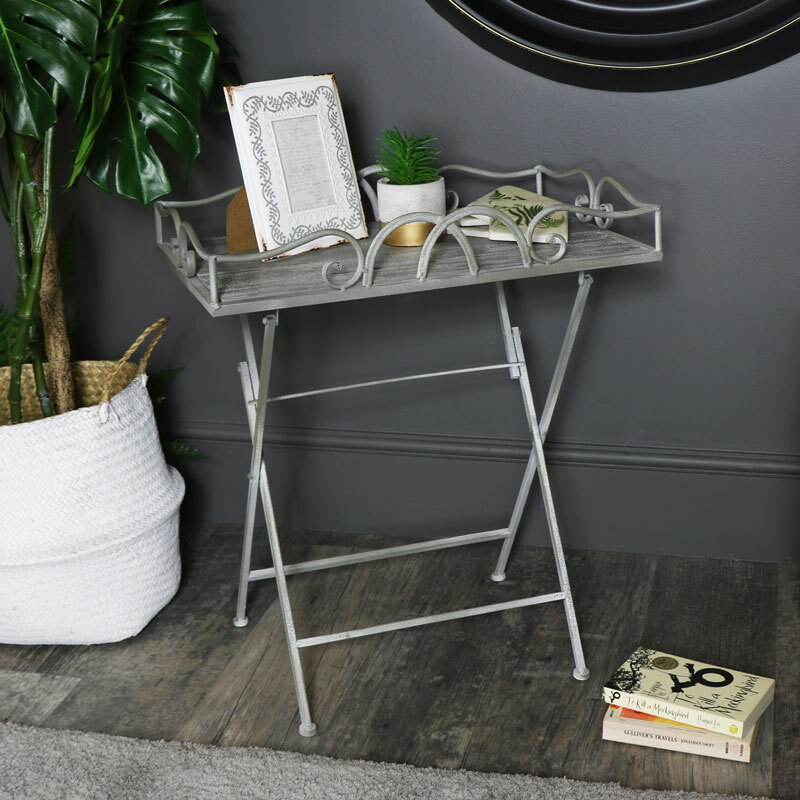 Sturdy metal frame in a scrolled design grey finish and topped with a rustic wooden surface. The folding design makes this so practical as well as stylish so it can be easily stored away when not in use. Constructed with a metal frame in a grey distressed finish with wooden table top surface. The tray comes in 1 piece with the legs folding out into a standing position.